I like to start with looking briefly at the antagonist. The first step to creating a story is knowing what the story is about, and when it comes down to brass bolts, it depends entirely on what the antagonist is trying to achieve. It can be many things, ranging from simple narcissism, all the way to insanity and personal beliefs. Religion can easily play a role, as can family legacy or a thirst for revenge - either against one individual, or a race as a whole. You don't need to completely design your antagonist yet, though - just think about what you want to happen. One example could be a natural disaster: perhaps a comet is heading towards earth. In this case, the comet would hit earth with or without the antagonist's help, but perhaps he uses some kind of magic to keep the comet from breaking up when it enters the atmosphere, or cause it to grow or move faster, creating a bigger mess - I'm not a geologist or a meteorologist, so I don't know whether I've gotten something wrong here. But he would also likely purposely cause some kind of panic and cause apocalypse-crazed cults to pop up and create even more havoc. In these cases, the villain would likely just want to see the world burn. But whatever your antagonist's plan may be - from destroying the world to stealing the throne - there also needs to be a motive. Sauron's goal was a narcissistic one, though I've not read the Silmarillion so I may have my facts a little wrong here. He wished to control everyone, every man and elf and dwarf. Morgoth's goal was similar, but he had become terrified of being harmed that he was unable to actually act on his plan. Sauron had the rings of power made for the men, dwarves and elves, as you might remember, but he had another made in secret - the One ring to rule all the others. Through this method he'd have been able to control their will and their minds through the rings they were gifted - hence the ring wraiths, the black riders, they were the nine kings of men with the weakest hearts, and so were the first to fall. 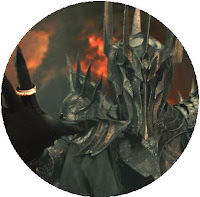 I'm not sure that his own motives had much to do with his predecessor, Morgoth, but they were selfish, as they usually are. 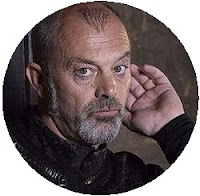 The Sheriff of Nottingham - in the BBC's version that I've seen, at any rate - was the lead antagonist in the series, and answered to Prince John, whom we only saw in the third and final series. Their plot was to remove King Richard from the throne so that John could be King - however, the Sheriff, Vaisey, had his own plans. He, however, had his own plans to gain the ultimate power for himself, though I don't believe he ever succeeded. He was simply a tyrant, and, again, his motives were selfish. When he teamed up with Prince John, he stole the seat of Sheriff of Nottingham from the then-sheriff, and began to tax everyone in Nottingham dry, and also enjoyed killing people for the fun of it. He wanted nothing but power and money. But he was possibly the scariest villain I've ever encountered in any media. Well, fictional, anyway. He might not seem like much but he was brilliant. 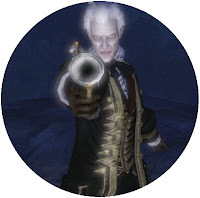 Lucien Fairfax of the game Fable 2 had an equally selfish goal, though one that did not initially involve gaining massive power for an unlimited amount of time. His family had a history of mental instability, and after a few ordeals while he was younger, it's no surprise he went to such lengths. The game begins just after he lost both his wife and young daughter to an unknown illness, which plummeted him into depression. He began an obsession with the Old Kingdom, and, well, long story short, discovered a tower that would grant one wish. However, after the tower's last use, it was destroyed. Lucien saw it as an opportunity to both focus his mind on something, and regain his family. He set to rebuilding it and about 25 to 30 years passed before it was completed. However, during that time, his instability grew worse and he soon saw Albion as a tainted place, and one unfit to continue its existance since it took his family from him. His mind turned, then, to creating a perfect world where no one would ever die - but destroying the current one in the process. His motives have far more backing than any mentioned so far, and were certainly more than enough to prompt such action in a novel, game or movie. Sometimes there are villains of different levels. The ultimate villain, the ones that answer to them but also have something to gain, and maybe some below even those who have simply been tricked. In this trilogy, there are two levels. The first and smaller of the two is the monarchy. The Queen and her loyal and closest advisers. Their goal is to rid the world of those who are "impure" by their standards - generally all other races besides the Night Elves, and anyone they don't like the look of. However, the second level is the one they answer to. This is Sargeras, the Demon Lord - a Titan. One of a race who shaped the worlds, but Sargeras was charged with locking away demons. However, overexposure to the prisoners and their magic soon corrupted him and he began to rebel, using the demons as his army for thousands upon thousands of years. They've gone from world to world, devouring all the magic they can find and leaving none alive - whether they possess magic or not. The Demon Lord has managed to control the Queen and her closest and warp their minds to his own desires. He allows them to believe that when he arrives at their world, he will destroy all that is impure - what they don't know is that he believes everything is impure, and once he reaches their world, will destroy them as well with not so much as a glance. 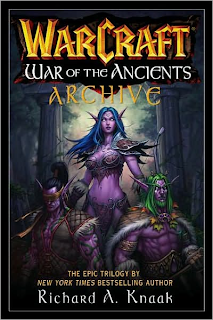 Their motives are selfish, but there are two layers to the plot - the first plot to be discovered - the Queen's - and then subsequently the true plot of Sargeras. These are all fantasy, I know - I did say I can't write anything else - but when I think of the word "plot" I think of all kinds of outlandish things. Fantasy and science fiction really are the freeist genres - any world you want, any laws - you can even defy the laws of physics, and while that may take a little explaining for a reader to believe you, it really is still free. So I count this as the first step. What is your antagonist planning, or doing already, and why are they doing it? This is the most important part of planning your work. Without a plot, you have nothing. You might have a great idea for a main character - but what will that give you if you have nothing else? If you already have a plot and motive but no antagonist, then you could well be fine. I have another post about building an antagonist that might help coming soon. What is also important at this point is that you don't race ahead. You must keep your focus on the plot and the motive, and imagine that no one will save the day. You must be able at this point to want the villain to succeed, and you must know what the result of their win would be - both from their point, and from an opposition. What would their winning mean, what would they gain? What would the world be like? You must at this point assume that they will succeed with their plan to the letter. Only once there is a protagonist will you need to look at an alternative, and at how the villain can modify their plan to make up for the pesky nuisance of the hero. I own none of the images used in this post. which I have found them. This is an excellent post! So inspirational and full of useful tips and advice. Thanks!